These markers are the perfect companion to alcohol based markers because their pigment based ink does not fuse or blend with alcohol ink. They can be used to ink a drawing line made with pencils before coloring with alcohol marker or after coloring with markers to renforce an outline. The perfect marker for thin lines ! The fine liner GRAPH’IT with caliber 003 mm is the thinnest on the market ! 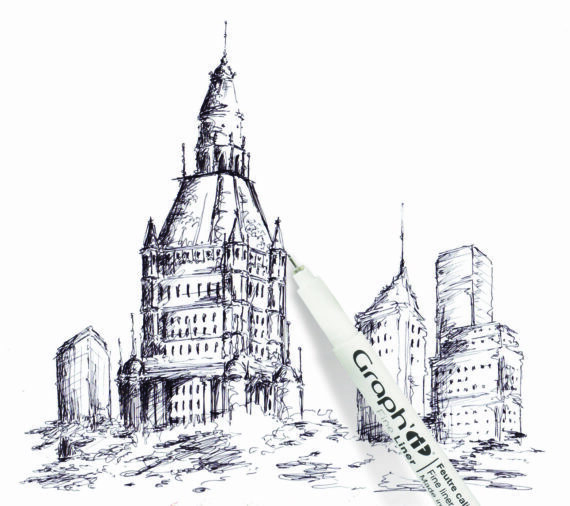 Its extra thin metal tip and its water based very pigmented black ink offers a precise and regular drawing which will satisfy architects and illustrators searching for a permanent and clean tracing pen. 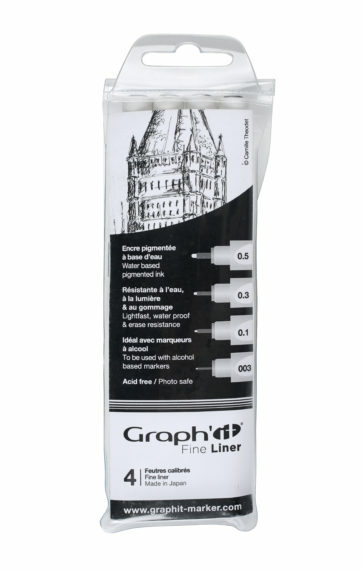 It is the ideal tool to trace outlines on tracing paper. It will be perfect for technical and precision drawings. This permanent marker’s ink once dry, is resistant to erasers, to water and is light fast with archival quality. Available on sale in singles or in a set of 4 or 6 Fine Liners. 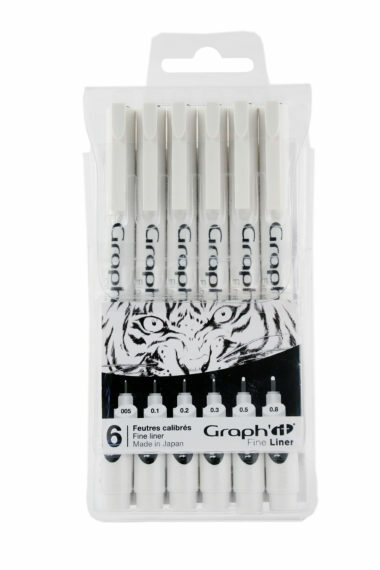 You want to know more about how to use GRAPH’IT Fine Liners ? Discover this photo tutorial made by Antoine Dacheville, artist using GRAPH’IT markers !